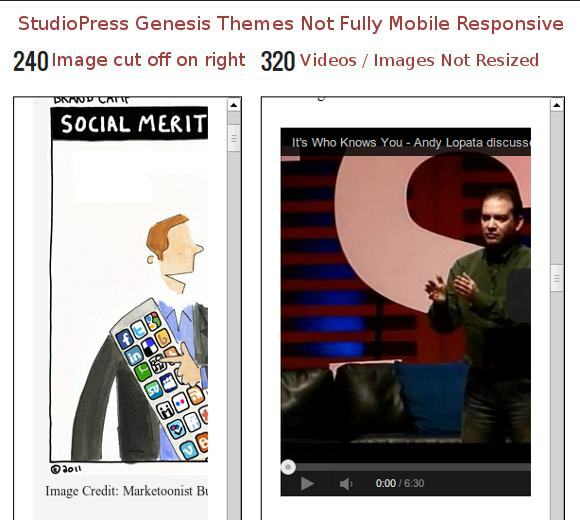 The main reason many bloggers switched from Thesis to Genesis is that StudioPress promotes it as mobile responsive. There is some fine print we must have missed somewhere because while most of their themes are considered mobile responsive, they DO NOT resize videos which is critical to having your posts display well on mobile devices. Some of their “mobile responsive” themes such as the Prose child theme this site uses do not even resize images. There ARE fixes for both of these issues explained below. Choose a post that has an image and video in it. Plug it into the StudioPress responsive tool. View each device size and look especially at the images and videos. 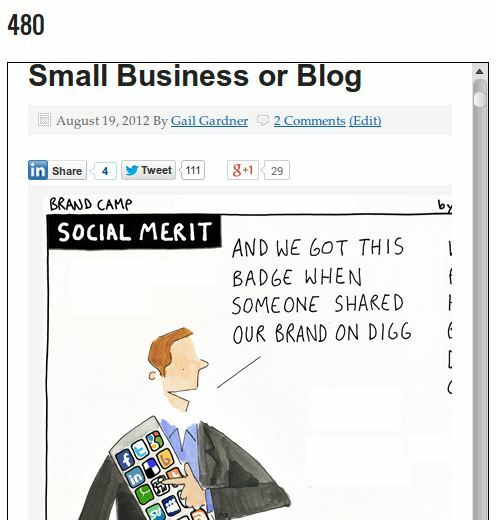 Notice that even at 480 wide the image is cut off on the right side. This is far worse on smaller devices. Plug the URL into the tool to see all the sizes yourself. This is an example of a couple of the videos from that same post. 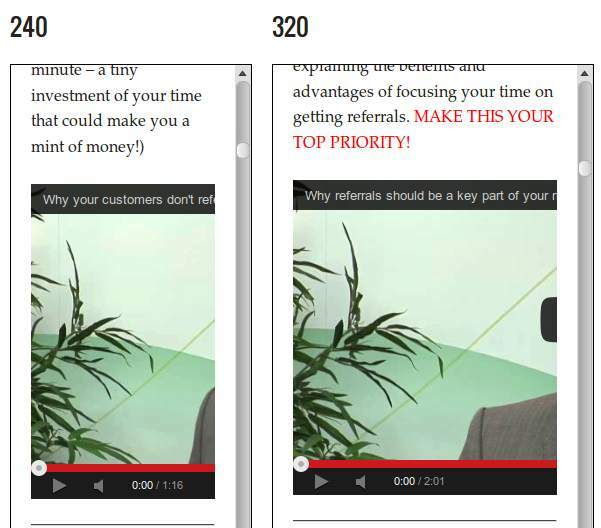 Note that they do not resize – they simply get cut off on the right. What you want is for your images and videos to be resized so that the entire image or video displays properly on every device. The easiest fix is to add the plugin. Prose is a little behind some of our newer themes. That should resolve it for you! For the videos, we do not load our themes with scripts that are required for something like making video responsive since these CAN be added by a plugin, and, since many customers don’t use video, the script loading would add unnecessary code that needs to be loaded to the site. This is not optional. Your images and videos must be easily viewed on devices of any size. Use the code highlighted above if your images do not resize and you are using Genesis to fix your images. UPDATE: StudioPress recommends the FitVids for WordPress plugin to make videos mobile responsive. Add the WordPress Canvas Responsive Videos plugin so your videos work in smaller devices. I contacted the developer and he said it will work retroactively so that all videos in your site start appearing correctly. No matter what theme you currently use, choose a post that has an image and a video and plug it into the StudioPress responsive tool and make sure your blog looks good at every size. If it doesn’t already, now you know what to do. If you want to see fully mobile responsive themes that automatically resize images and videos, look at Themify and Themify Bizco. Mobile continues to grow and estimates are that 46-90% of all views will be on mobile by 2014. 90% seems excessive, but 46-50% is definitely likely. just have a look at this website http://chatperky.com. I want it something like this website. any help or suggestions? There are so many themes that the person really has to choose for themselves. GenesisDesigner.com has a page where you can compare Genesis mobile responsive themes.